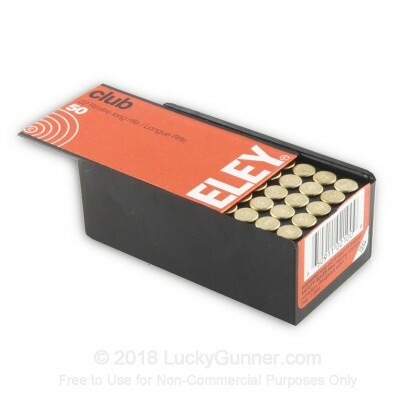 Eley Club is a cartridge that is very well established in the market and is top choice for the club shooters who aspires to have their name at the top of record board. 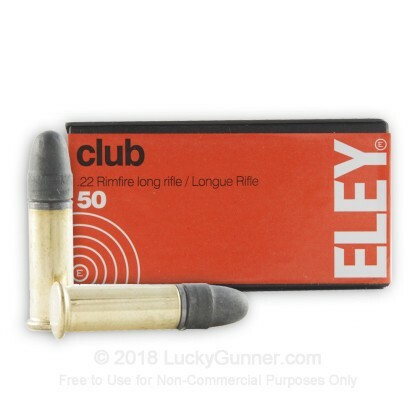 For those getting into the competition shooting, Eley Club is a great way to get started with reliable, accurate loads. Eley Club ammo is also a great starting point for any shooters who are getting into shooting with the Olympic disciplines of Prone and 3-Position as Eley has won countless Gold Medals in the Olympics. In 2008 ELEY celebrated 180 years of manufacturing high quality ammunition. The British company was established in 1828 by William and Charles Eley, and has a long and proud tradition in the high standard of manufacture of rimfire ammunition. 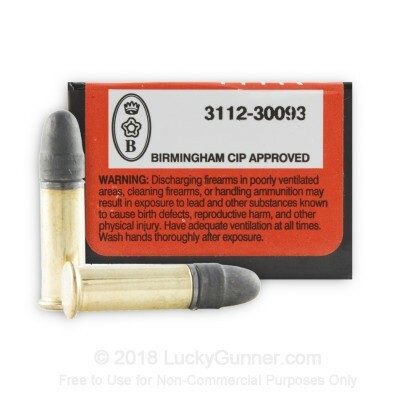 This ammunition is brass-cased, rimfire-primed, and non-reloadable. Bought these rounds for my sons shooting competition. Great performance, good grouping! !